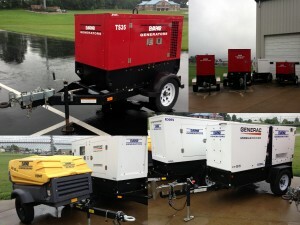 EVAPAR is your source for generator rentals. Power when you need it. Power where you need it. Planned shutdowns or an emergency outage, EVAPAR offers the generator you need. We have small towable units, to the largest diesel or gas unit. We offer short and long-term generator rentals. EVAPAR has a solution for you. Our equipment is located in our four locations. Our locations are: Evansville, Indianapolis, and Fort Wayne. From Indiana to Louisville in Kentucky. We offer emergency rental deliveries 24 hours a day 7 days a week. Every rental is backed by our team of service technicians. For a complete equipment list and rates, please fill out the form below. Feel free to call us or visit us at one of our locations.